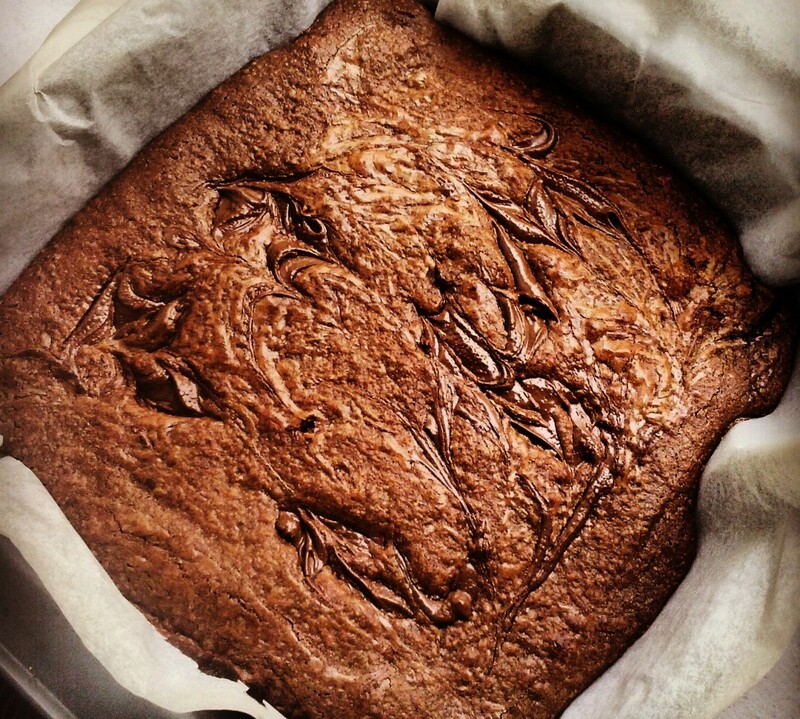 Anyway, this particular post is not about my recipes. 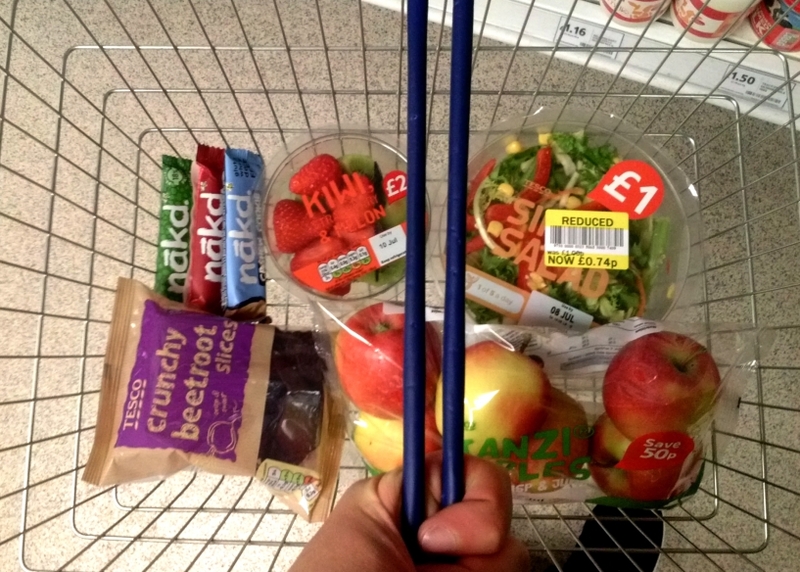 Last month I went to London for the third time (but it was my first time as a vegan!) and I simply want to share some of my experiences. I went with a plan of spending as little money on food as possible, so restaurants were out of the question. I also tend not to be that hungry when I’m busy, so the whole trip I stuck with snacks and lunch food. That way I discovered some amazing places that I want to share with you all. 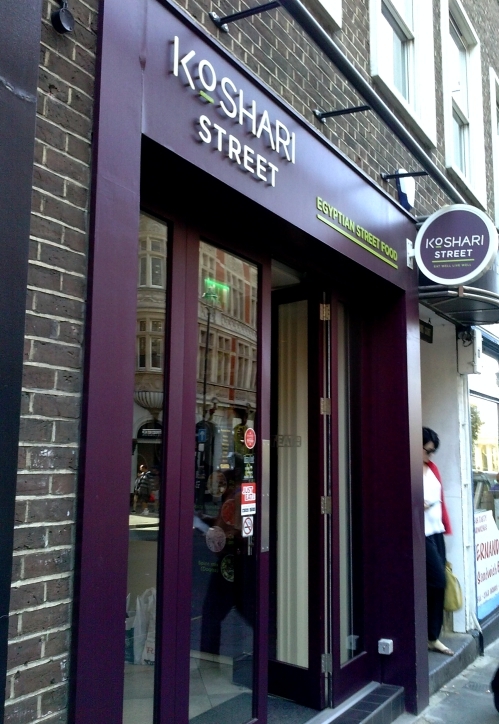 Koshari Street, 56 St Martin’s Ln Have you ever heard of koshari? I haven’t until I read about it just before my trip. 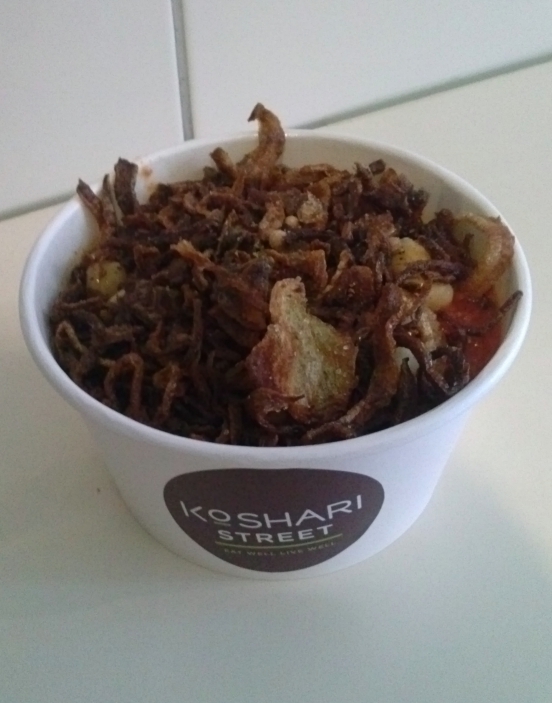 This Egyptian street food dish consists of lentils, rice and vermicelli. You pour some spicy tomato sauce, chickpeas and caramelised onions on top and you get an incredible meal. Believe me, the photo doesn’t do it justice. Crussh, locations all over London The first time I got there I only went in to buy something to drink, but when I saw the selection of vegan snacks they had, I changed my mind. 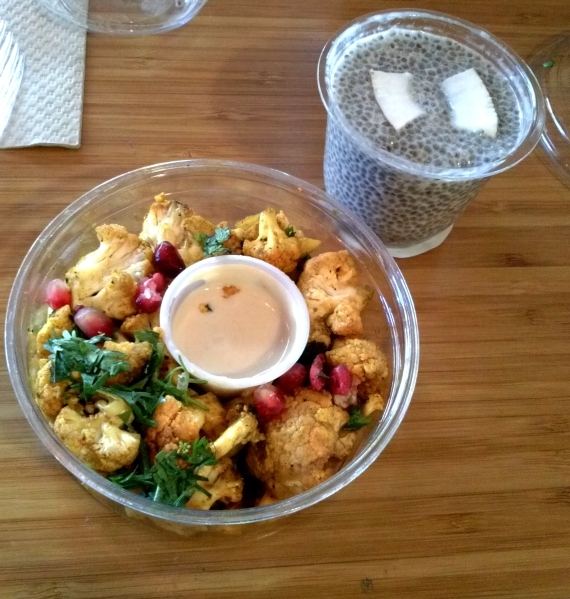 I ended up buying this Cauliflower with Pomegranate & Tahini Dressing twice! The Almond milk & Chia Seed Pudding was pretty great too. The best part about Crussh is how easy it is to find one – they seemed to pop up on every corner. Cookies and Scream,The Market Hall, Camden Lock Place Okay, this is it guys. This is the big one. Let’s stop kidding ourselves, dessert is obviously the most important part of the day. The girls at Cookies and Scream seem to know that. Everything they sell is vegan, gluten free, and so, so delicious. I had a bit of trouble trying to find them though – I walked around the Market Hall for 30 minutes before I did. Fortunately the lovely girl at Cereal Killer Cafe (another place well-worth checking out, by the way!) pointed me in the right direction. 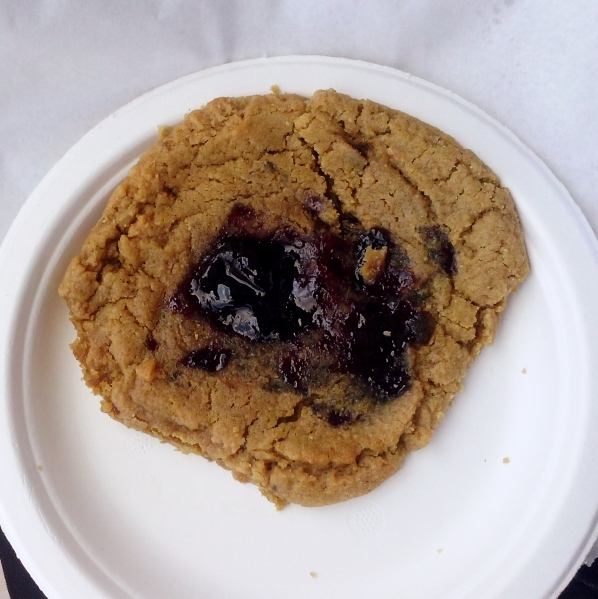 When I finally got to Cookies and Scream I tried the peanut butter & jelly cookie, which tasted exactly like I hoped it would taste. It was also huge, so all was well with the world. 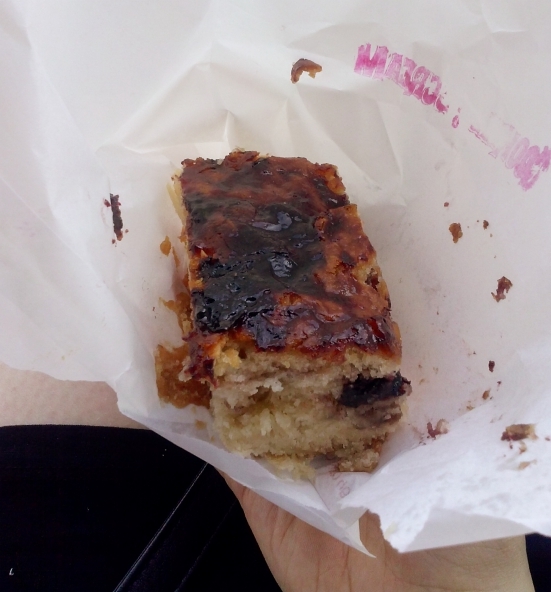 I also bought this blondie, which I loved. 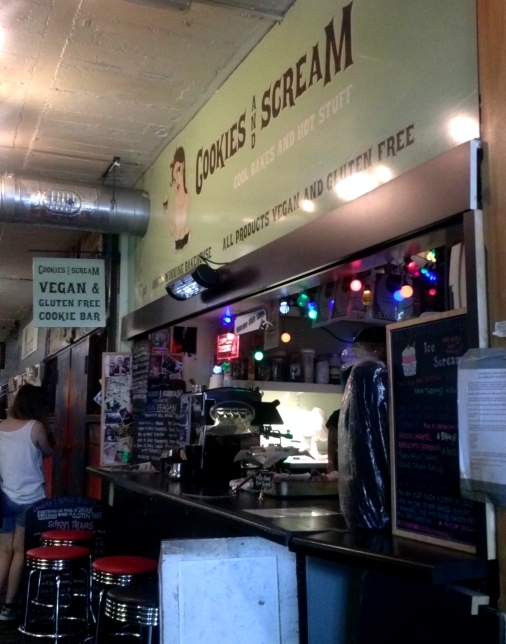 All in all, Cookies and Scream were the highlight of my eating London experience. I could finish here and say that apart from these places I would buy my food at grocery stores (which I also have a proof of right here) but there is another important section of my trip that I should mention. London is crazy about juice. Seriously. Cold pressed, freshly pressed, smoothies, you name it. They have it all and they have it everywhere. I think I went one whole day just on juices and coconut water and I didn’t feel like I was missing anything. 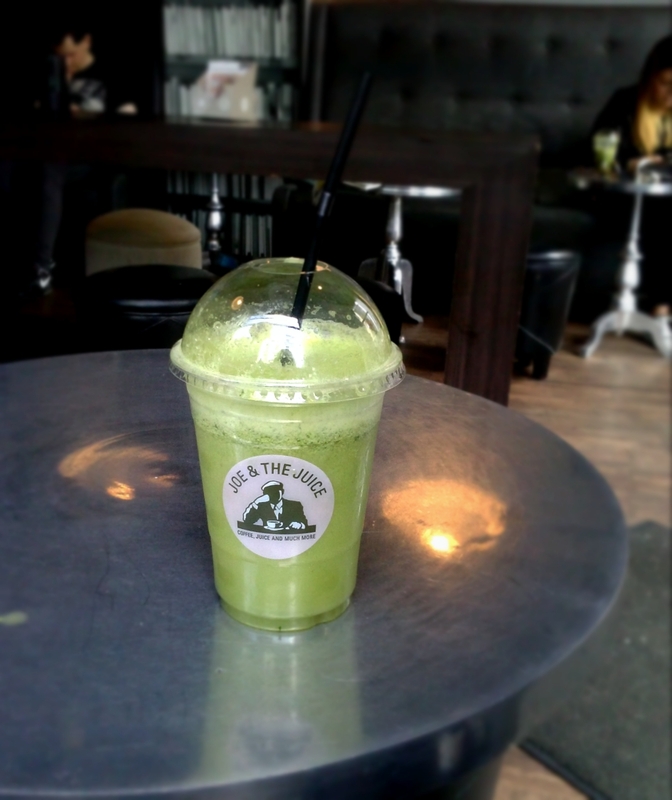 One of my favorites was Joe & the Juice, which again has a couple of locations in the city. Actually, I think they have places all over the world. 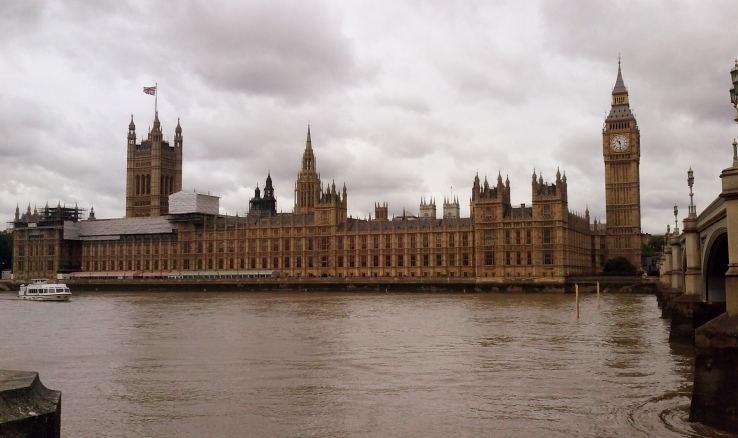 Anyway, it was the first place I went to in London, and being a sentimental sap that I am, it stuck in my memory. 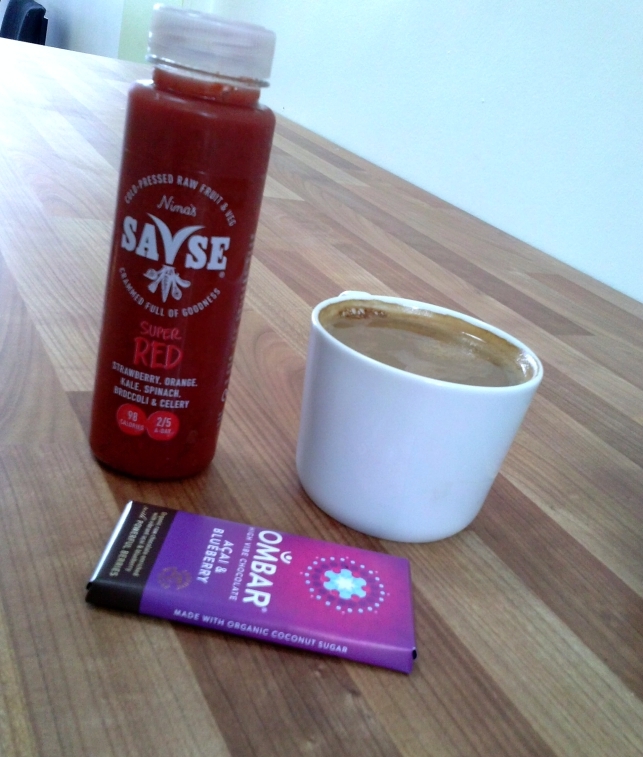 I also fell in love with Savse juices. They had some amazing combinations of flavors. I mean, strawberry, orange, kale, spinach, broccoli, and celery? Yes, sign me up. I would buy these at Whole Foods and get giddy with excitement every time I did. So, that’s what I was up to lately. With the next post I’ll be back to my regular recipe-posting. It’s good to be back!